Welcome to The Gabriel Project 930! in memory of my son Gabriel, who struggled with chemical addiction. Wondering why 930? Gabriel's birthday is 9/30. Heroin Overdose: What is Naloxone? 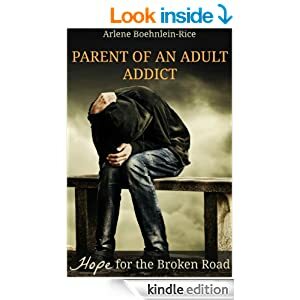 Exploring the questions which most often press parents of addicts, Arlene Boehnlein-Rice shares hard earned wisdom and education on the signs and symptoms a parent needs to know to spot suspected drug abuse by their child, resources for finding support, practical approaches in dealing with your child, and encouragement to know you are not alone on this road. The Hope Project is a faith based ministry outreach intended to encourage those dealing with the death of a loved one from chemical addiction to persevere in the faith. Good Samaritan and Naloxone Laws encourage bystanders to become “Good Samaritans” by summoning emergency responders without fear of arrest or other negative legal consequences.